New York Times best-selling authors! When Lord Baltimore awakens the wrath of a powerful vampire on the hellish battlefields of World War I, the world is forever changed. A deadly plague has been unleashed?one that even death cannot end. 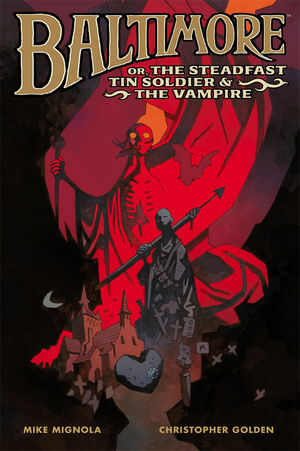 * The original prose novel featuring multiple illustrations by Hellboy artist Mike Mignola, plus the one-shot comic The Widow and the Tank. * The origin story of Lord Baltimore.